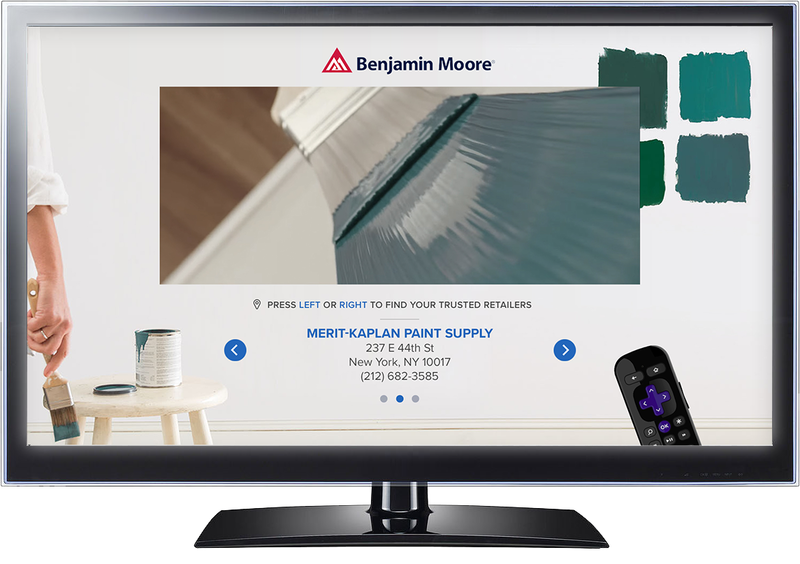 Overview: For the first time on OTT, a localized enhancement allowed Viewers on Hulu discovered their closest Benjamin Moore retailers while watching the spot in a squeeze-back frame. The local-data component significantly enhanced the power of the national spot while making it highly relevant and actionable for viewers. I designed a layout that matched the brand’s clean style while clearly conveying the available scrolling functionality. 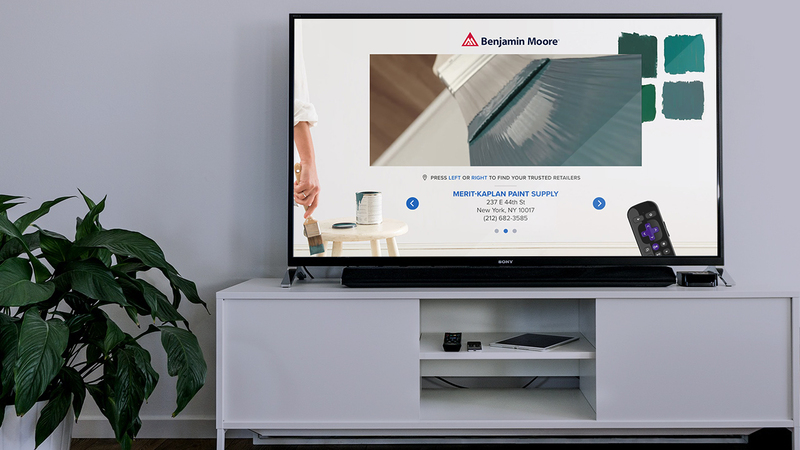 Additionally, the remote graphic was changed per platform, to further entice viewers to interact.